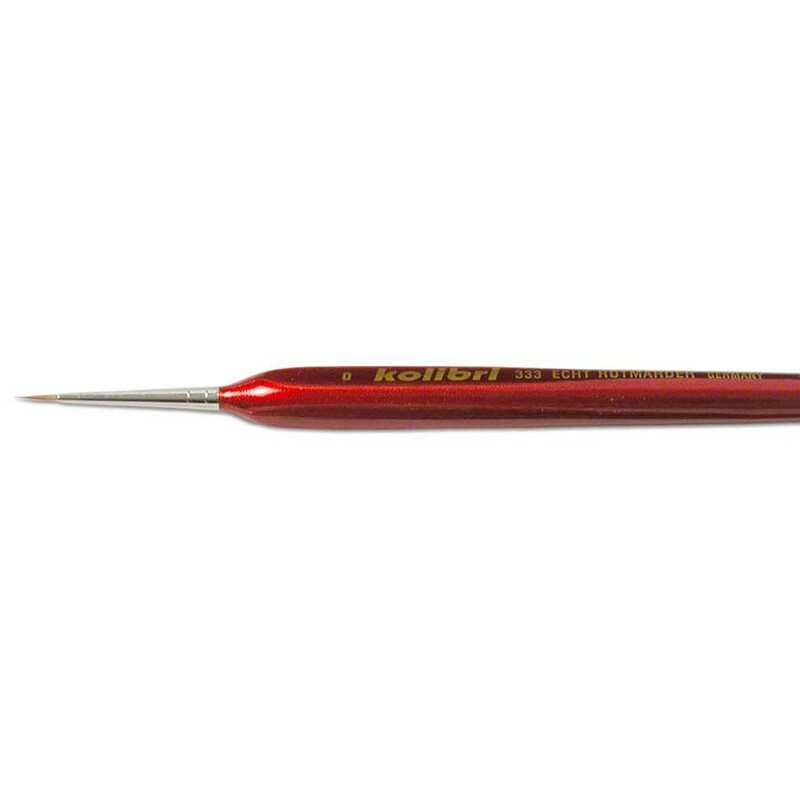 The short red polished handles are made of hardwood and are lacquer finished for long life. Only the best brush handles are dipped. They are made by lowering the handles first in primer, then twice in colored lacquer and finally in varnish -- a total of four coats -- for a lustrous durable finish. For ease of handling in a pencil grip, the hardwood handles are 14 cm (5.5 in.) from the ferrule to handle end. The handle's triangular shape provides a comfortable grip that is secure while working to allow you to make the finest details. The triangular shape also prevents the brush from rolling off tables and work surfaces.